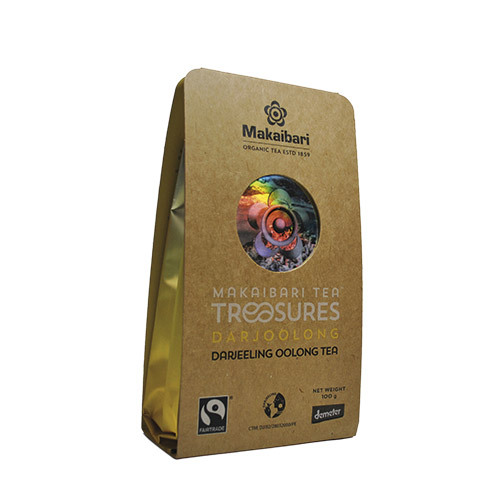 Our Oolong of Darjeeling, the Thunderbolt Land, is a mild semi-fermented tea, between a black and a green, produced only in small quantities for Oolong lovers. Manufacturing requires a special technique, which happens through repeated foot rolling in cheese clothes during 15 hours of withering. 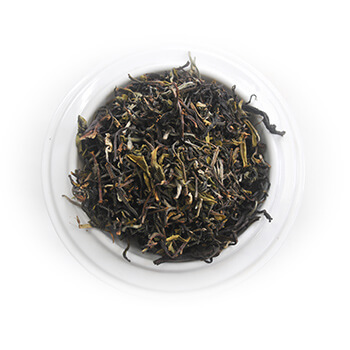 This special Oolong from Darjeeling Hills is a mild semi-fermented between a black and a green tea. 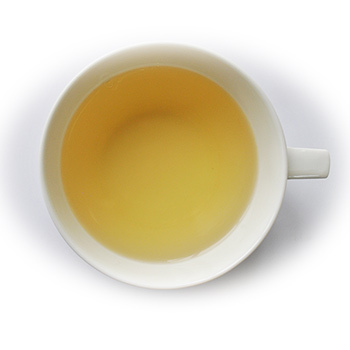 Due to its digestive properties is ideal to be sipped one hour after lunch. 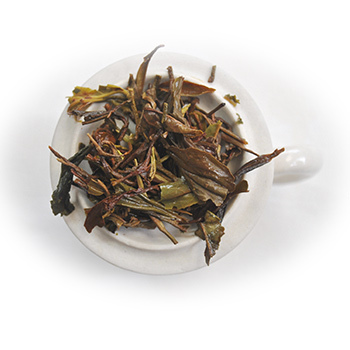 Darjoolong is a highly aesthetically pleasing tea, with large uncut green/bluish leaves. The clear liquor is of amber almost like nectar. When you breathe in through your nose, inhale the heady aroma of forest fire after a light rain, easing off to a refreshingly smoky feel to the palate. 3. 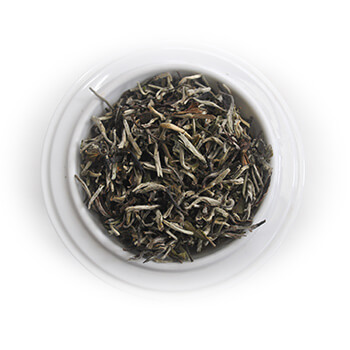 Steep for 3 and 1/2 minutes, cool down for 2 minutes before strain and serve. Sip tepid.